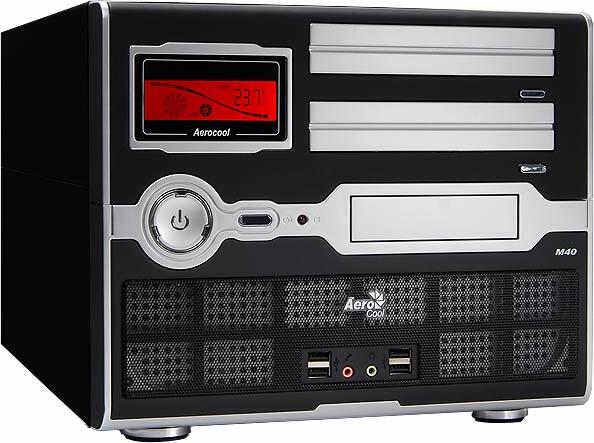 The Aerocool M40 Cube particularly stands out due to its sophisticated layout and its compact size. The split-level design on the inside with its retractable mechanism enables all necessary components to be installed easily. The mainboard and an external 3.5" device can be found in the lower section. The external 5.25" disk drives are installed together with the power supply and the hard disks in the upper section. Screwless fastening rails means 5.25" disk drives can be installed effortlessly. 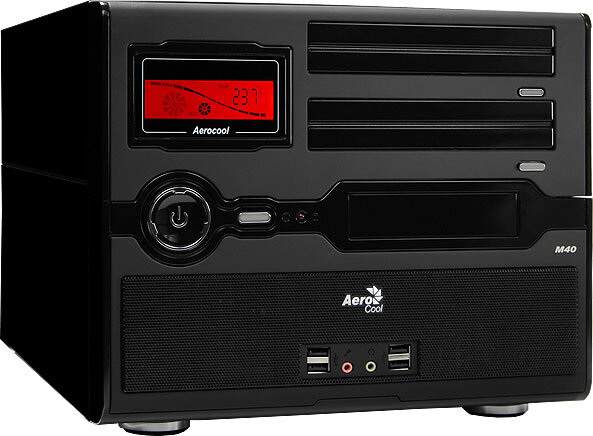 The LC display integrated in the front indicates the current temperature and provides information regarding fan operation and hard disk activity. 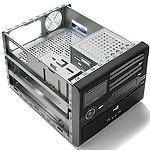 The 120mm fan fitted on the front ensures components are cooled efficiently. Up to three other 80mm fans can be fitted to the rear. There are four USB 2.0 ports as well as two audio connections for plugging in external peripheral devices.